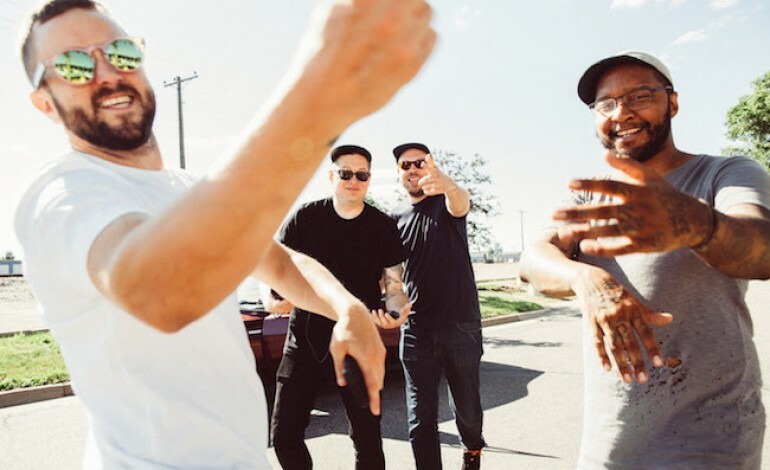 Shredders, the Doomtree collaboration featuring P.O.S, Sims, Lazerbeak and Paper Tiger, have released a new video for their song “Cult 45.” The video has a vintage home-recorded feel and features the two MCs dressed up (P.O.S as a clown and Sims as a penguin) hanging out and rapping at a child’s party. It’s hard to say how well the two men connect with the kids, as they can be seen pushing them away during the first verse, but eventually rough housing and stuffing cake in their face. Sims really gets into the action towards the end of the video when he holds out the pinata for a little guy. The song is among the first batch of tunes to be released by the group after they announced themselves to the world back in July. “Cult 45” is included in the Shredders EP bundle that the group released for free on Soundcloud. They followed up that release with “Xanthrax”, a stand-alone track that come out at the beginning of the month. The video was directed by Mercies May for Strange and Distant Pictures. The kids in the video are also credited: Lincoln, Penny, Lou, Cam, Markel Marcus, Kobra Harris, Justice Harris, Jasmine Harris, Devon Hicks give a fun-loving vibe to this lighthearted hip-hop video.